Atlanta Real Estate Forum congratulates Atlanta Fine Homes Sotheby’s International Realty Developer Services division on behalf of The Sutton Buckhead for winning a Gold OBIE in the Best Advertising Campaign – Developer – Budget over $10,000 category. Presented by the Atlanta Sales and Marketing Council, the OBIE Awards are the premier awards given in the Atlanta new home construction industry. 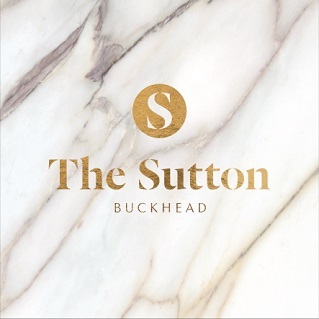 The advertising campaign for The Sutton Buckhead is a well-conceived, well-executed, beautiful campaign that has proven effective in achieving all its intended goals – namely awareness, generating interest and outreach from qualified buyers, and measurable sales. Beginning with a whisper campaign in mid-January that included a print ad in the Atlanta Business Chronicle, an eblast to brokers and consumers and a digital billboard at the intersection of Peachtree, Roswell Road and West Paces, the advertising efforts drove and continue to drive immediate results in the form of website registrations, phone calls, appointments with the sales team and inquiries from agents. The messaging has focused on core themes and has evolved consistently across all platforms. Initial advertising began in mid-January with the launch of the digital billboard and eblasts, followed by print ads and social media ads in late January (ongoing through present), rounding out with the launch of the programmatic digital advertising campaign in March once the full website launched. One unique selling tool is the 90-second virtual reality preview film, which is hosted on the website and linked to in several agent and consumer eblasts. This was completed and promoted in late February 2018. Agents began meeting with buyers in February and were able to write contracts beginning March 1 (once condominium documents were completed/approved), and the sales team now has over $12 million under contract with three more offers pending. Traffic to the website and Sales Center has been consistent and qualified. To learn more, visit www.TheSuttonBuckhead.com. The Greater Atlanta Home Builders Association’s OBIE Awards celebrates its 38th anniversary in 2018. The awards began in 1980 and have grown throughout the years to include more than 100 building, remodeling, marketing and personal achievement categories. The OBIE Awards are named after the obelisk shape of the actual award given. To see all of this year’s OBIE award winners, visit www.AtlantaRealEstateForum.com/category/OBIEs. Make sure to like, share and comment on this story.